Bella Siegel-Dalton is back in South Korea for the first time since being adopted by a family in the Napa Valley of northern California in 1966. When Bella Siegel-Dalton, 56, met a Hankyoreh reporter in a coffee shop on the first floor of the Lotte Hotel in Seoul on Apr. 1, her face was pallid. Because of kidney trouble, she needs to receive a transplant within two years. She’s also receiving chemotherapy after being diagnosed with leukemia. Seven years ago, Siegel-Dalton identified her biological father in the US through DNA testing, but he had already passed away. During this trip to South Korea she says she wants to find her biological mother. “My 17-day trip to South Korea is challenging, so I’m gritting my teeth and hanging on. But it’s not painful, because this visit is so important to me,” she said. PAJU, South Korea, March 8 (Yonhap) — A park for mixed-race Korean adoptees sent abroad in the years after the 1950-53 Korean War will be built inside a former U.S. military base on the outskirts of Seoul, officials said Wednesday. Patricia Park’s debut novel, “Re Jane” (Pamela Dorman/Viking: 340 pp., $27.95), is a retelling of everyone’s favorite Gothic Victorian Brontë romance, “Jane Eyre,” transferred to New York and South Korea in the early 2000s. 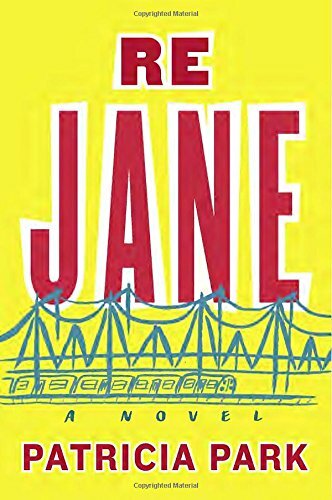 Her heroine, Jane Re, is a half-Korean orphan raised by her uncle’s family in Flushing, Queens, a neighborhood that feels “all Korean, all the time.” When a prestigious post-college job offer falls through thanks to the dot-com crash, Jane takes a job as an au pair in Brooklyn in order to escape Queens and her uncle’s grocery store. Her employers are Ed Farley and Beth Mazer, two Brooklyn English professors with an adopted Chinese daughter. Ed, as you may have guessed, is brooding and manly, with a strong jawline and a Brooklyn accent—pure Kryptonite for our wide-eyed, 22-year-old Jane. He lives in the shadow of his older, more accomplished wife, an eccentric feminist scholar with an attic office, who takes it upon herself to educate their sheltered au pair. This study examines two cases of Black-Korean biracial individuals and 4 Black-Korean biracial public figures who were playing influential roles in South Korea (Yoon Mi-Rae, Hines Ward, Insooni, and Moon Taejong). The purpose of this study was to understand how Black-Korean biracial individuals construct their identities, how they navigate various identity options, and how they understand experiences they have in South Korea that are significant to their identity development. 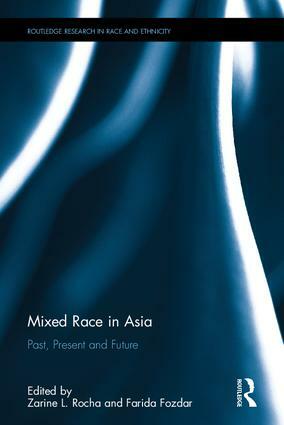 This study raises a number of issues in the Korean context where the ideology of a “pureblood” Korean race still prevails, and biracial Koreans continue to face implications of racism and colorism. South Korea’s obsession with cosmetic surgery can be traced back to an American doctor, raising uneasy questions about beauty standards. At sixteen stories high, the doctor’s office looms over the neon-colored metropolis. Within the high-rise, consultation offices, operating rooms, and recovery suites occupy most floors. Additional floors house a dental clinic, a rooftop lounge, and apartments for long-term stays. This is Beauty Korea (BK), a one-stop, full-service plastic surgery facility in the heart of Seoul, South Korea. South Korea has an obsession with plastic surgery. One in five South Korean women has undergone some type of cosmetic procedure, compared with one in twenty in the United States. With plastic surgery’s staggering rise in popularity, an attractive physical appearance is now the sine qua non for a successful career. Undergoing surgery to achieve an employable face in South Korea is just as commonplace as going to the gym in America. The most popular surgery is Asian blepharoplasty, the process of changing the Asian eyelid, commonly referred to as the “monolid,” into a double eyelid. The second is rhinoplasty, or a nose job. The prevalence of these two procedures, especially the “double-eyelid” operation, has led to a delicate question: Are South Koreans are seeking to westernize their appearance? Cosmetic surgeons and scholars tread lightly around the issue. Some argue that Western culture — a broad and imperfect term — cannot claim “big eyes” as unique to its definition of beauty. Others note that only 50 percent of the Asian population is born with monolids. Some practitioners, including Dr. Hyuenong Park of OZ Cosmetic Clinic and Beverly Hills plastic surgeon Kenneth Steinsapir, deny altogether that double-eyelid surgery is intended to make its recipient appear more Western.